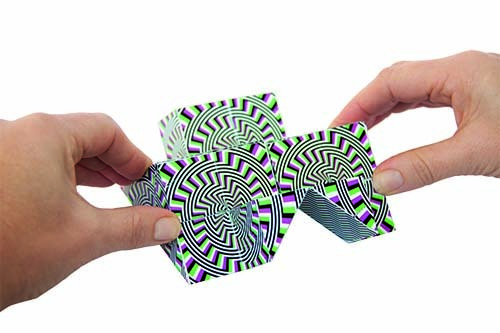 A fidget puzzle to play with over and over! 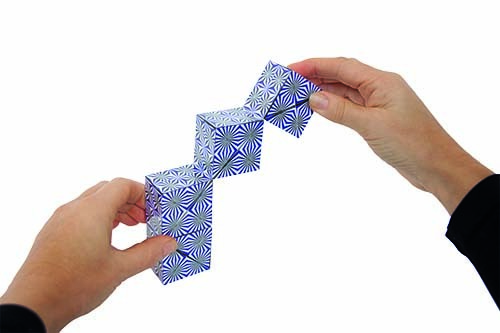 The Dynacube is a 2.5 inch cube that seamlessly folds from one geodesic shape to the next. With 4 different styles and over 100 different possible configurations, this puzzle is the perfect fidget toy for anyone who wants to keep their hands occupied while they focus on the task at hand. Each Dynacube comes with a booklet of 60 different configurations.